Moving house can be an expensive process, especially if you are moving out of your family home. It can also be a stressful time trying to change your details. 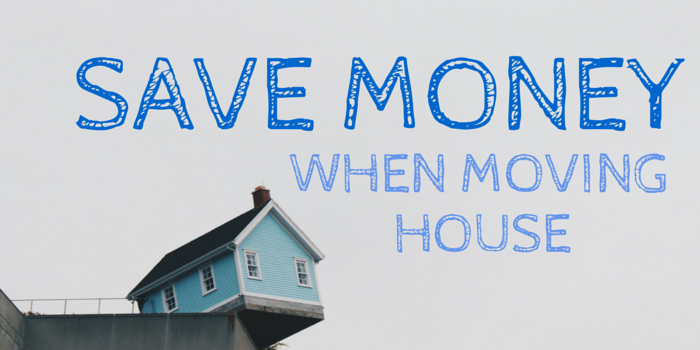 There are a number of ways to save money these are our top tips. Hiring a removal service is a necessity when moving large items from one home to another. To find the best deal look around at multiple removal services and find the best one for what you need. Although getting the cheapest is ideal you will still have to be careful and double check that they are trusted. It is ideal that you book your removal service in advance as many removal services get busy and will charge more the nearer to the move date you get. The best time to move is during the week; this will cost less, as there won’t be many other people moving on a weekday. The ultimate way to save money is to ask friends and family members to help you. If you are moving from your family home and don’t have too much furniture then you do not need to hire a removal service. Buying flat-pack furniture is easy to dismantle and can be fitted in the back of your car. This will make moving the furniture cheaper than having to hire a can to transport furniture. It also makes taking your furniture inside a lot easier, especially if your new home has small doors and tight corners. Auctions are a fantastic way to find furniture pieces for a fraction of the price. If you do not live/moving near an auction house you can now find online auctions where you can bid from your own home. Just like the popular show Storage Hunters UK you can bid on abandoned storage units but online. Sign up to the Storage Giant newsletter to be notified of the latest online storage auction. The best way to save money is to do your research. Sometimes you will have to accept that to get the best service and keep your possessions safe things won’t be incredibly cheap and you just need to find that balance.